So, summer is back. It’s been awhile since our last summer, a full year actually. 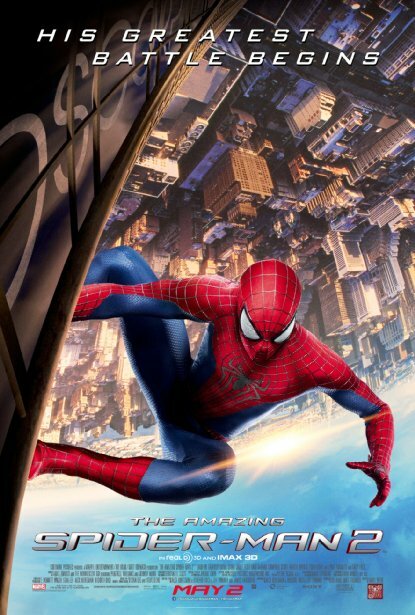 The summer movie season begins this summer with not a usual film from Marvel Studios over at Disney, but rather Sony Pictures, in the vein of The Amazing Spider-Man 2. The sequel to the rather underwhelming reboot of the Spider-Man franchise did very good business worldwide, but domestically it wasn’t as successful as the original Sam Raimi trilogy from the 2000’s. It makes sense to me, because it’s too early for a reboot, and the original Sam Raimi films still ring true in people’s minds and hearts (well, at least the first two). I think it was stupid to do a reboot, but it’s the world we live in now. If you don’t have a major franchise in Hollywood that makes at least a billion dollars, you should basically go packing in Hollywood. That’s the world we live in now, and Amy Pascal and Sony Pictures know that. So they have put all the cards they have on the table, and the only cards are Spider-Man. Not only do we have this sequel, but we will have a third and fourth Spider-Man film, not to mention spin-offs of the villain Venom, and a future film of the supervillain team The Sinister Six. How much do people want of Spider-Man? Sony is hoping that a lot of people do, so that’s probably why this film is opening the summer movie season instead of the better, more experienced Marvel Studios. So I just got back from the theater, and here’s my review of The Amazing Spider-Man 2. Andrew Garfield dons the role of Spider-Man/Peter Parker once again, and Emma Stone is Gwen Stacy once more, Spider-Man’s squeeze. All is good in the world, as Parker has the girl, the love of the people of New York, and so on. As he’s about to go off to college, a new threat emerges in New York City, or make that threats. Early on in the film we are introduced to Max Dillon, played by Jamie Foxx, who plays a nerdy, mentally ill employee of Oscorp, the evil corporation of the Spider-Man universe. A freak accident happens to Max which turns him into the villain Electro, who wreaks a good deal of havoc on New York. Then we are introduced to Harry Osborn, played by Dane DeHaan, who enters the picture while he inherits his father’s company. He’s also an old friend of Peter, who hit it off after years of not seeing each other. Since this isn’t really a spoiler since there was just an issue of Entertainment Weekly tackling this plot point with pictures, so therefore it doesn’t qualify as a spoiler, but Harry, not his father Norman, turns into the villainous Green Goblin, so naturally Spider-Man has a lot on his plate to take care of. Mark Webb returns to direct the film, and screenwriting duo Alex Kurtzman and Roberto Orci have writing duties this time around. Orci and Kurtzman are best known for their work on J.J. Abrams‘ Star Trek reboot and the first two Transformers films. Luckily with new screenwriters, there are some improvements with this film from the original. For example, Peter Parker is a much better written character than the last film. In the first Amazing Spider-Man, Parker was portrayed and whiny and very irritating in general as a character, but here they make the character very likable and charming. And Andrew Garfield is great in this role, and I can say that he’s the best actor yet to play this character. Emma Stone also does some good work here as Gwen Stacy, and the chemistry between both her and Garfield is really terrific as well. The two actors have reportedly begun dating in real life after these first two films, and it’s very apparent on-screen. Jamie Foxx does a good job as usual in the role of Electro, but it felt a little hammy at times when he was on-screen, but Electro’s back story is pretty interesting, and has the potential to be moving, but there is so much story happening on the screen that there’s very little room for me to give a damn about anything. This was one of the more noticeable flaws in The Amazing Spider-Man, and it’s much more apparent in its sequel. Luckily the film does a better job of resolving sub-plots than the last film, but it still has a handful of plot holes scattered around the film. For example many of the films sub-plots from the last film are (kind of) resolved in this film, but the sub-plots in this film aren’t, and instead we gotta see the next film to find out the resolution of these plot points. It’s something that Marvel does in every film, but Marvel does it so much better that what Webb and company are doing it in these first two films. But one of the better parts of the film was Dane DeHann’s performance…for the first two acts of the film. For those two acts, he portrays Osborn as a very broken and angry young man, and it’s a perfect role for DeHann, who had a similar role in his breakout performance in 2012’s Chronicle. I say the first two acts because, in the third act, without revealing too much, he gets pretty hammy. Granted, it’s the script which, to be honest, isn’t very good. I hate to say that because I like Orci and Kurtzman a lot, and their work on Abrams’ Star Trek films are really great, but this script is just bad. The things that save this film from being as mediocre as the script is the acting and the direction by Marc Webb. The action sequences in the film are thrilling and visually stimulating to the eyes. I just wish more work was done on the story and it’s dialogue, and if that were done, you would have something as special as what Disney and Marvel are doing at the moment. DeHann may get pretty hammy toward the end of the film, but nothing to the extent of Paul Giamatti as the Rhino, which is essentially a glorified cameo. He’s essentially a cartoon character, and it makes sense because that character in the comics is known as a joke, a meat-head. But, I felt that they should have taken out that character as a whole in this film. Like I said, there is so much story and sub-plots all happening at the same time that it’s very hard to breath. In fact there was so much story, that Shailene Woodley, best known for her roles in The Descendants and The Spectacular Now, was cast as Mary Jane Watson, another one of Peter Parker’s love interests, who was played rather blandly by Kristen Dunst in the original Sam Raimi trilogy. She shot her part for a couple of days during filming, and she was cut from the film, with Webb stating that there was too much story and to add her in would be a headache. Woodley is a very talented actress, and I would have liked to have seen her performance in the film rather than Giamatti’s cartoonish performance in this film. I think having that character in the film, with what happens in the film which I will not reveal, would benefit the story quite well. But before I sign off, I wanted to highlight the music in the film. The film was scored by Hans Zimmer, one of the greatest film composers, period. Instead of doing your typical score, he did something rather unique. He created a super-group of sorts, called The Magnificent Six (a little homage to The Sinister Six). The supergroup composed of director Webb, Zimmer, Pharrell Williams, Johnny Marr from The Smiths, Mike Einziger and David A. Stewart from Eurythmics. The score itself is a little questionable, but this team-up is really unique, and it brings a lot of very talented individuals to this project. Pharrell Williams is a terrific music producer and incredibly talented musician, so his stamp is heard throughout the film, and on a single from the film, “It’s On Again”, which is sung by Alicia Keys and Kendrick Lamar. The musical aspect of the film is one of its highlights, and I highly suggest you check out this single by Keys and Lamar, if it hasn’t already been played on the radio. So to sum everything up, The Amazing Spider-Man 2 is a little bit better than its first film, but several flaws from the first film carry over to this film to make the film, pardon the pun, not that amazing. Spider-Man is a great superhero, and you can make some truly great films based of the property, most apparant with the first two films Sam Raimi made back in the day. I just wish that Webb would move on, along with most of the creative team, and bring in somebody new. But Sony doesn’t really care, and according to the numbers, neither do the mass audience. This film will be a huge hit, which means we will continue to see more and more of these films, which is fine, but I hope that Sony can learn from their mistakes and make something truly, well, amazing. This film is an embarrassment. 1 out of 5.